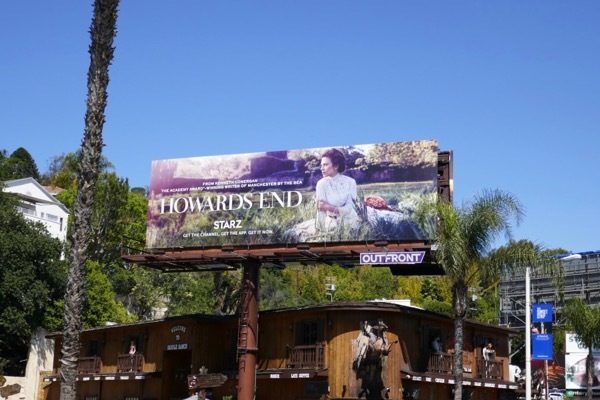 The 1992 big screen adaptation of Howards End garnered nine Academy Awards and took home three, so it's lucky that the new mini-series based on E.M. Forster's 1910 classic novel is scripted by another Oscar winner, Manchester by the Sea's Kenneth Lonergan. 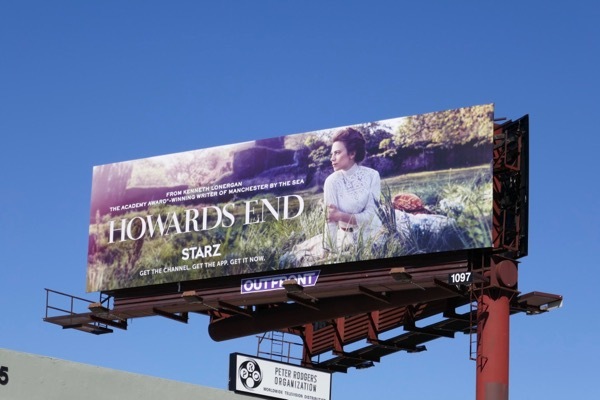 The romantic Edwardian era drama is set in early 20th century England and examines the social and class divisions through the lives of three families, the well-to-do Wilcoxes, the independent and socially progressive Schlegel sisters (played by Hayley Atwell and Philippa Coulthard) and the working class Basts. 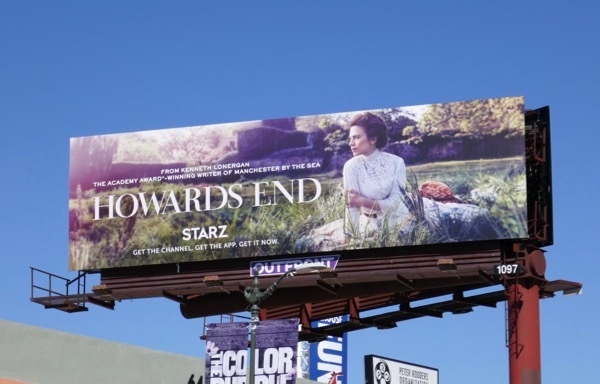 These Howards End mini-series billboards were snapped in multiple ad locations along Sunset Boulevard on March 26, 2018. 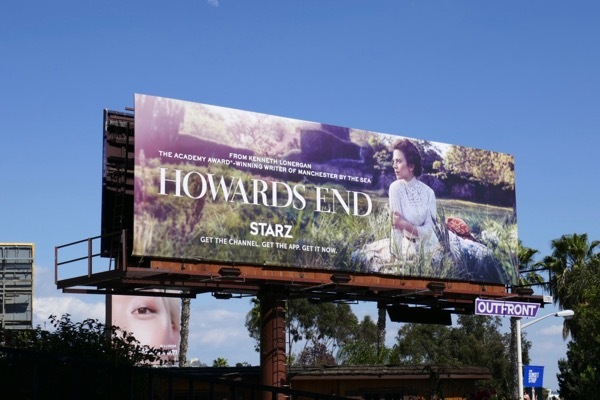 The countryside setting of this ad creative makes these billboards stand out even more in the sprawling city streets of L.A. 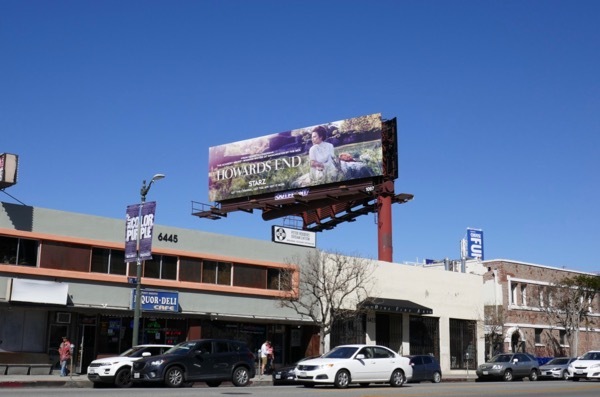 Meanwhile Hayley Atwell fans can also enjoy this series launch billboard for Marvel's Agent Carter from 2014. 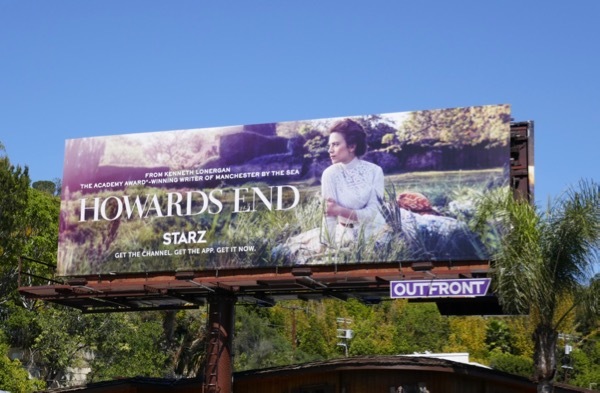 Directed by Hettie MacDonald, the four-part drama series has already aired in the U.K. on the BBC at the end fo 2017 and the romantic period drama arrives on America's shores on Starz this April.